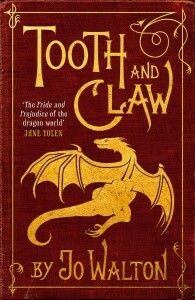 Tooth and Claw was published in North America by Tor in December 2003, and by Corsair in Britain in 2013. It was my fourth published novel. It was also published in Chinese, Japanese, Czech, German and Spanish. It won the World Fantasy Award in 2004. Tooth and Claw is the easiest of my books to summarize. 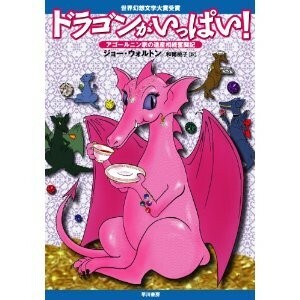 It’s a sentimental Victorian novel in which all the characters are dragons who eat each other. If that sounds appealing, you’ll like it. If not, then probably not. I had the idea for it all in a flash one day. I was reading Trollope. When my husband went to work, I was reading The Small House in Allington. Now The Small House in Allington is about Lily Dale, and all of Trollope’s weird fixations about women are in fine display in that book. Sometime during the day, the library called and said they had a book for me, so I went to pick it up. The book was Ursula Le Guin’s The Other Wind. Not sorry to have a break from Trollope, I started to read it immediately, so when Emmet came home I was immersed in it. “How’s the book?” he asked. “Pretty good, but it doesn’t really understand dragons,” I said. Emmet looked at me in amazement. 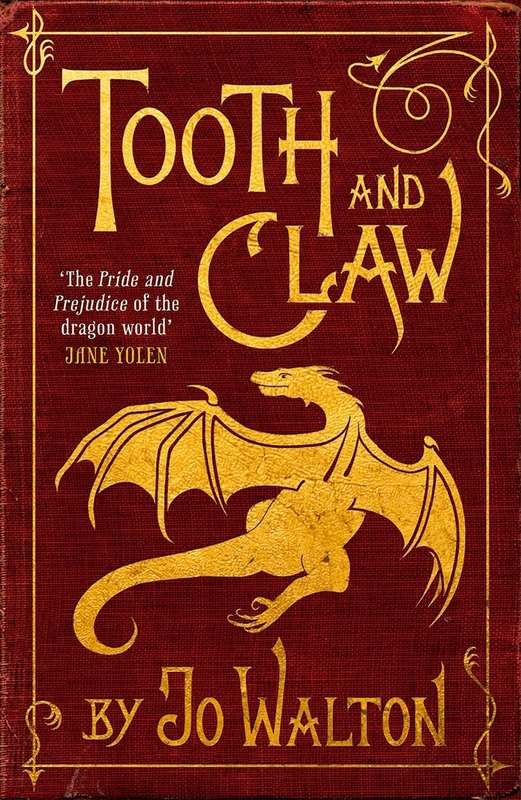 “Trollope doesn’t understand… dragons?” And in that moment I had the great revelation that is Tooth and Claw, that Trollope understands dragons perfectly, and it’s only when he tries to write about human beings (and especially women) that the books lose psychological realism. But dragons… dragons could be just like that. They could be bound by biological imperatives to behave like people in a sentimental Victorian novel. They could need to eat each other to get bigger — the perils of consumption! I started to giggle. I made dinner and got all the worldbuilding sorted in my head.I decided to steal the plot of Framley Parsonage, rather than The Small House At Allington, because I’d finished Framley Parsonage and could see how to make the whole thing work better, with dragons. Then I sat down and wrote the first chapter. I don’t have the exact record of how many writing days I put in on T&C, but I started it in June of 2002 and finished it on January 16th 2003. I read about thirty Trollope novels as I was writing it. There’s a way in which the Victorians were monsters. And there’s a way in which they were adorable. When modern people write about them, one or other of those things tends to get lost. With Tooth and Claw I was going right down the middle of the line between those two things, between charming and gruesome. And I was having fun being funny. Tooth and Claw is my first book that had space for humour. Also, it’s written in full-bore Trollope sly omniscient. Omni like that is a special case of first person, and a ton of fun to play with — there’s one point where the narrator directly addresses the gentle reader — only the gentle kind of reader, not the kind who hangs around publishers offices with claws out ready to eat writers who displease them. I knew perfectly well that the modern reader would disapprove of cannibalism and not be at all bothered by cooked meat, but the narrator knew just the opposite of the implicit dragon reader. I really enjoyed using this, and I learned a lot about how point-of-view works from doing it. Forgotten Futures X: Tooth and Claw Roleplaying Game, written by Marcus Rowland. Includes what there is of the unfinished sequel, Those Who Favor Fire. Sherwood Smith on SF Site. Q 1: Are you going to write a sequel? Q 2: Awww. Why not? A: I did try, mainly because so many people asked me this question. In one way it would be easy. Trollope wrote about fifty novels, and I could just rewrite them all in the T&C world with dragons. But… I’ve done that. I get bored easily. That’s why all my books are really different from each other. 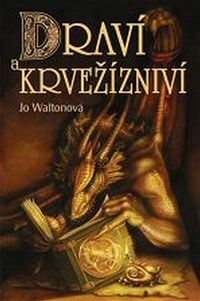 If I were the kind of person who could have written 50 dragon novels, I wouldn’t be the kind of person who could have written T&C in the first place. But now I’ve done one, you can just read Trollope and reimagine all the characters as dragons for yourself. Q 3: Where should I start with Trollope? A: His best book in my opinion, and certainly my favourite, is Phineas Finn. If you’re only ever going to read one Trollope, read that one. If you’re going to read more, start with The Warden and read the whole Barsetshire/Pallisers thing in sequence. If you want a standalone, I like Orley Farm. But I also like lots and lots of others. They’re all on Gutenberg. Go and glut yourself. Q 4: Are there any other Victorian writers you like? A: Oh yes. George Eliot is wonderful, and Elizabeth Gaskell is amazing, and Charlotte M. Yonge has a terrible faith in Providence but is otherwise marvellous, and then there are all of these non-classic but great writers like M. E. Braddon and Mary Cholmondeley. All on Gutenberg! Q 5: What I meant was, do you like Dickens and Hardy? Q 6: How about modern Victorian novels? I love Byatt’s Possession, and Fowles The French Lieutenant’s Woman and everything by Sarah Waters. Q 7 How about steampunk? It doesn’t usually do much for me, unfortunately. I ought to like it, but I rarely actually do.